For Forensic Use Only - Call for best price 419-852-2464! 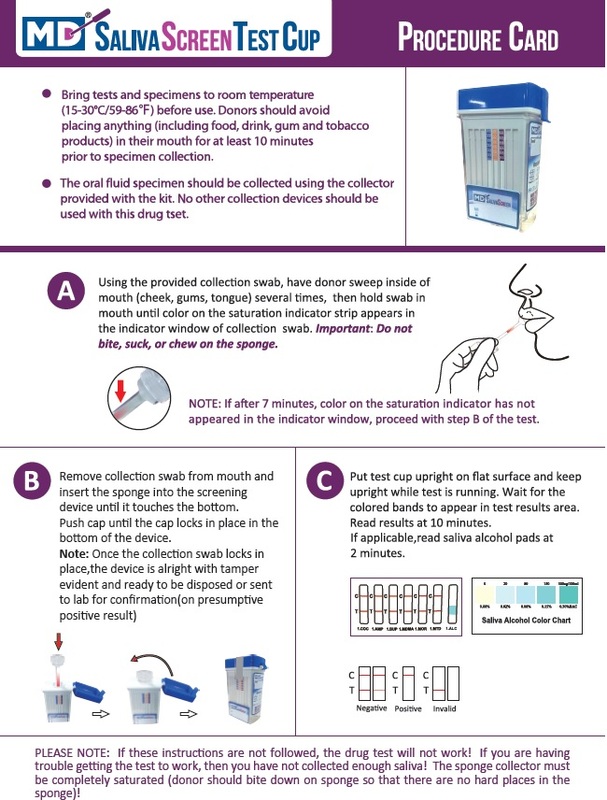 MD Saliva Screen 10 panel Oral Fluids Drug Test is a drug testing device that detects 10 drugs of abuse. This saliva drug test is the most sensitive to Marijuana (THC) with the lowest detection levels in the market. This saliva drug test provides results in minutes. An oral fluid test provides extra security since it can't be substituted or tampered with like a urine test. BULK PRICING - The more you buy the more you save!